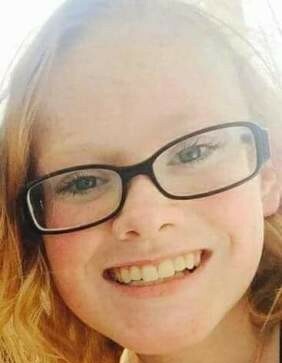 Haley Lynn Bunting, age 16, of Howard, passed away on March 24, 2019 at Nationwide Children's Hospital in Columbus. She was born on May 17, 2002 in Wooster, Ohio. Haley was the epitome of a warrior. She was so full of laughter and hope always. She was selfless and even thru her battle with CF and her journey thru a double lung transplant, if the doctors needed her for a study or tissue samples, etc. She was always up for it. She wanted to be sure that she could help others in their journey if she possibly could. She was an absolute light in everyone's life she touched. I want to give Dr. Hayes and Dr. Kirkby, Haley's transplant doctors the biggest thank you for all they do. She couldn't of asked for better care. To her nurses, Kerri and Ashley she absolutely loved you. To all the doctors, nurses and RTs at Nationwide, the world is a better place for every kid that comes thru your doors. Haley is survived by her parents, Christy (Dennis) Puskarich, Michael (Beth Cooper) Bunting; two brothers, Caleb and Cameron Snyder; step-brother, Alex Puskarich; maternal grandparents, Veronica Campbell and Cheryl Martin; paternal grandparents, Michael and Debbie Bunting; her boyfriend, Johnny Wood; along with many aunts, uncles and cousins. She was preceded in death by her aunt, Maranda Bunting; grandfathers, David Harris and John Starner, cousin, Lucas Heagren; and great-grandparents, Loren and Barbara Campbell. Friends may call on Thursday, March 28, 2019 from 4:00 – 8:00 PM at Lasater Funeral Home, 11337 Upper Gilchrist Rd. in Mount Vernon. Where funeral services will be held on Friday starting at 11:00 AM. Burial will follow in Nashville Cemetery. In lieu of flowers, memorial contributions may be made in Haley's memory to: Cystic Fibrosis Foundation and Life Line of Ohio.